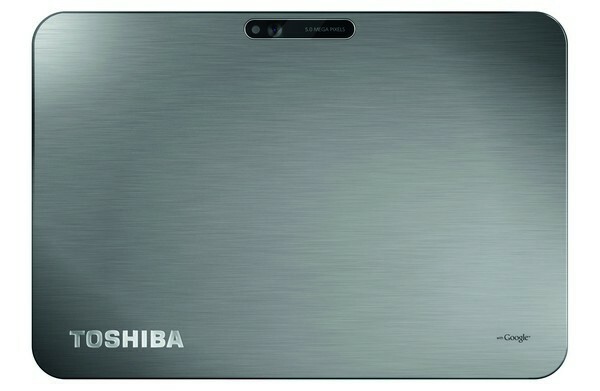 Toshiba is joining the race to produce the thinnest possible tablet with their newly announced AT200 tablet, successor to the Toshiba Thrive/AT100. Eschewing the full sized ports and chintzy swappable backs of its predecessor, the AT200 will feature TI's OMAP 4430 (seen here in the Droid 3) running at 1.2 GHz and backed up by 1 GB of RAM, running Android 3.2, along with micro-USB, micro-HDMI and microSD for connectivity.The new design features a brushed emtal back and a stylish, if all too common, silver accent line around the bezel. At 7.7 mm thin, this is a full millimeter thinner than Samsung's Galaxy Tab 10.1, while sporting a similar 10.1" display. 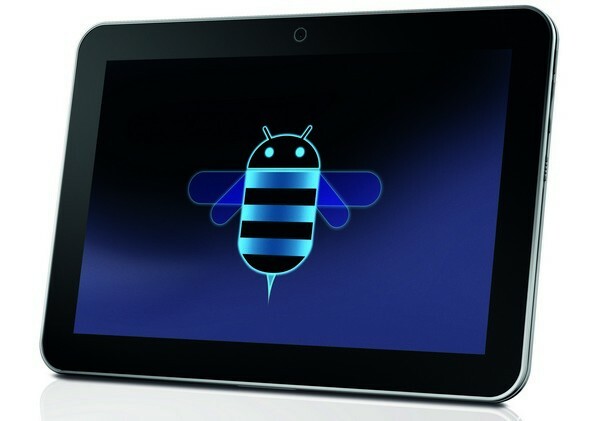 We're excited to see how Honeycomb fairs on non-Tegra platforms and Toshiba's effort seems impressive for its form factor, hopefully its user experience will be a bit more refined than the Thrive that came before it. We've linked the PR below and will update this post when we have some decent press shots in our hands. Why is thin the defining feature of this tablet? Who the hell cares how thin it is. Do you really hold the Samsung tablet and say " yeah its great and all, but man if it was only a millimeter thinner...". Before today, the options were thick tablets with full sized ports, or 1 very thin tablet with no ports. Kudos to Toshiba for stepping up and offering the trade-off while still including micro-sized ports. This Anandtech news blurb should have included that info...I had to click on the press-release source to see if it had micro sized ports. I guess it's implied somewhat, but it's not clear that it's "eschewing the full sized ports" for micro sized ports or none at all. A good point on them offering the two different tablets. I dunno, jsut seems to me to be a product thats low on actual features when its depth is its defining feature. Sorry, I had hoped, and expect to, put together a spec chart that would have included that information, will update shortly, though.